Saturday May 30 several members of the Cimarron Starlite Cruisers traveled to Edmond to attend the 'Cruise to the Park' Car Show sponsored by the good folks of the Central Oklahoma Classic Chevy Club. The event was in beautiful Hafer Park located at 9th and Bryant. Hafer is built in an area that was a landfill back in the 60’s but is now a place of beauty and pride for the folks of Edmond. 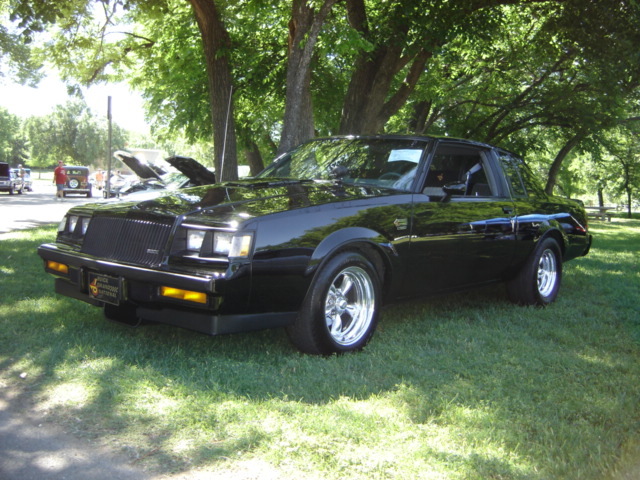 While looking at the great assortment of classic cars and trucks we happened on a great classic Buick Grand National owned by Dan Meador. Dan was gracious and let us get some information and pictures of this quality General Motors Muscle Car. 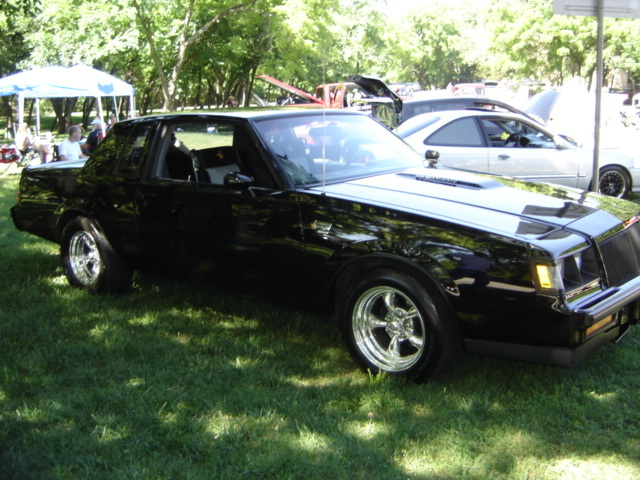 The Buick Grand National is a Buick Regal based rear wheel drive vehicle with its heart being a 231 cubic inch overhead valve V6 that has been turbocharged and intercooled. 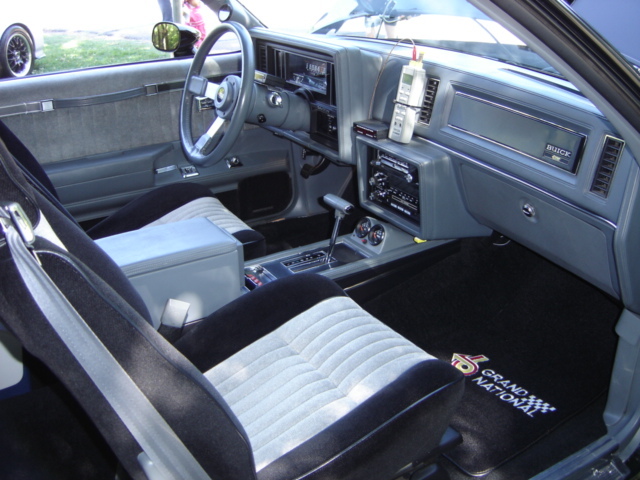 The Grand Nationals were produced from 1984 to 1987, with the 1987’s production being a little over 20,000 units of this unique classic muscle car. 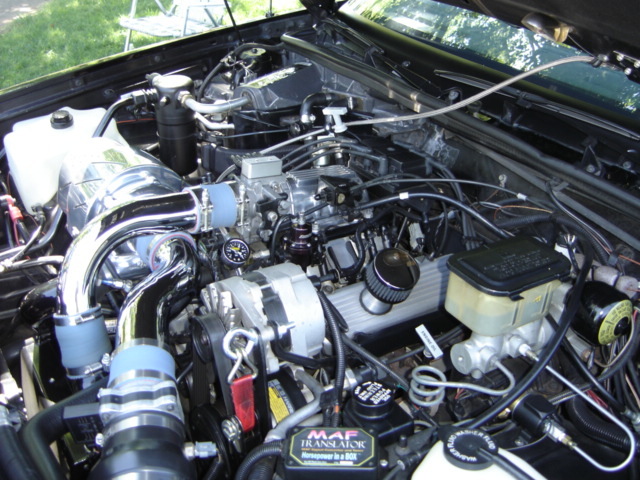 Dan has taken his Buick from the stock 245 horse power capable of mid thirteen second quarter mile times to a ground pounding 512 horse power which takes the Grand National though the quarter mile in eleven point five seconds and trap speeds of one hundred fifteen miles per hour. 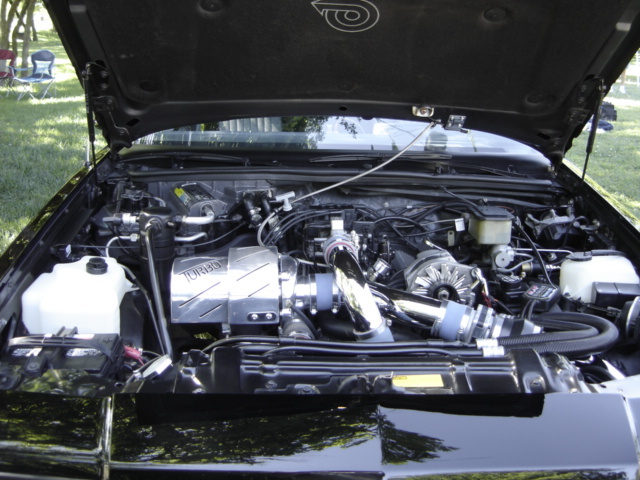 The turbo charged V6 is mated to a four-speed overdrive automatic transmission. The Grand National’s days were numbered by Buick's retreat from overt performance toward "premium" cars like the 1988 front-drive Regal. 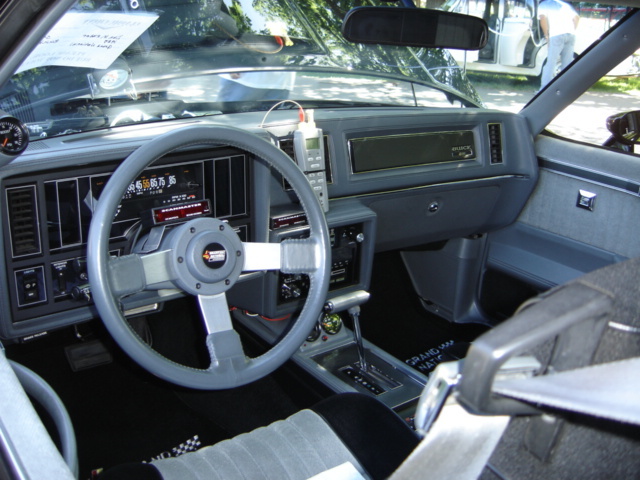 The interior is factory stock with the exceptions of a few gages that let you know this is a special Grand National. The Darth Vader Black paint scheme and two-tone black and light gray interior truly make this car stand out as something special. Dan purchased the Grand National in 1997 and had it painted as original in March of 1998. Hafer Park has so much shade that it is hard to truly show this cars beauty by the shaded pictures. 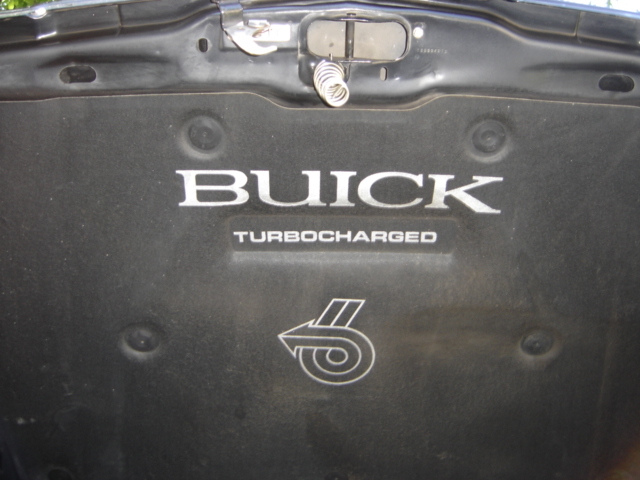 Even the truck of this Great Oklahoma Classic shows that Buick wanted you to know this is a TURBO CHARGED CAR! At the time of production this was the uutimate muscle car of its time. 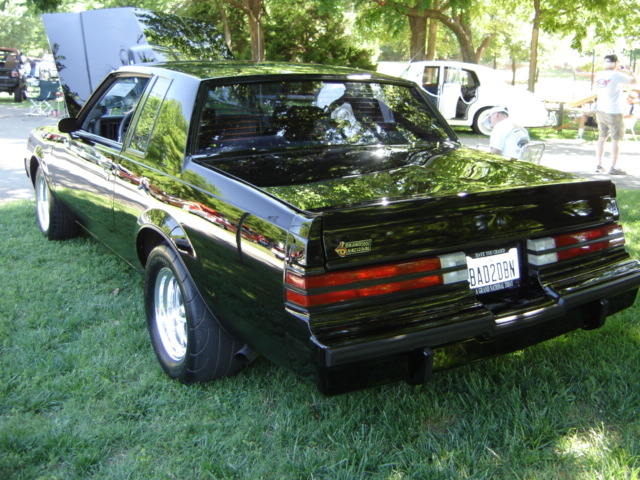 The Buick Grand National has 108.1-inch wheelbase with an overall length of 200 inches. The muscle car weighs in at about 3440 pounds. Dan tells us this car is a blast to drive and that the turbo is addictive! He takes this great Buick to many local car shows and to an occasional race at Thunder Valley Raceway in Noble. 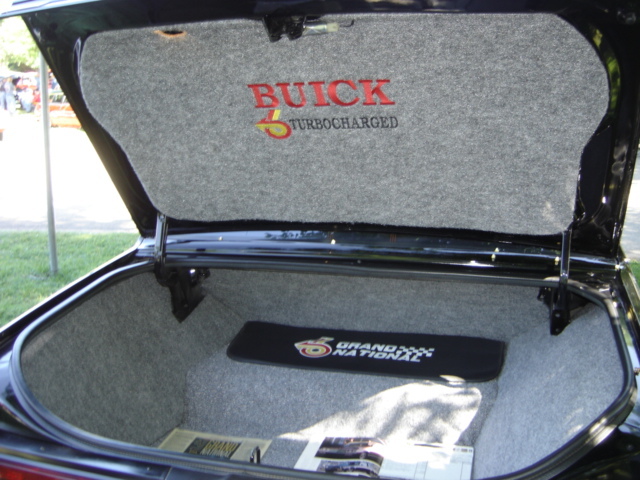 He especially enjoys the Annual Buick – Ford Shootout, which occurs each October. 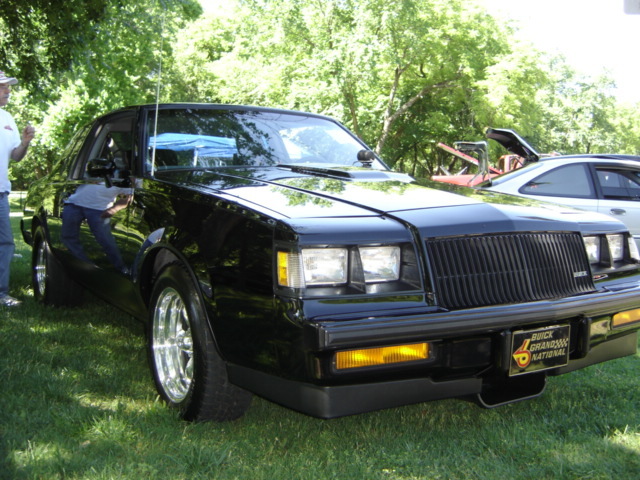 The Cimarron Starlite Cruisers appreciate Dan Meador for sharing his classic 1987 Buick Grand National and for being our Great Oklahoma Classic for June 2009! Thank you, Dan!